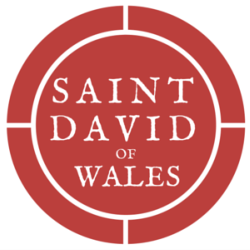 There are lots of great ways to support Saint David of Wales financially. Why is this a great option? ​No bank, credit card or service fees. Which is financial-speak for "every penny you donate goes to the church." For most people, this involves visiting your bank's online banking site and setting up a recurring payment to St. David of Wales through your bank's bill pay service. Your donations will be automatically deducted from your checking account on the schedule you specify. Set it and forget it. Pros: St. David's avoids paying a percentage of your donation or transaction fees. And you don't have to remember to write that check each month. Cons: You have to navigate your bank's bill pay site, which is daunting for some. The way that's most convenient to you! Why is this probably most convenient to you? Set up recurring payments online or give by text. Forget cash for the plate? Text your donation during the service. Want to give each month via debit or credit card, rather than remembering to write a check? Set up recurring charges through the Vanco site. You can also set up a one-time donation via the site also! Vanco also allows you to view or print a permanent record of your giving. Pros: For those of us who haven't touched cash since the 90s, Vanco's text-to-give option means you'll never miss another plate collection. And, like the first option, you don't need to remember to make a donation each month. The way that's most financially advantageous to you. Why is this financially advantageous? Pros: This is another great way for those of us who are cashphobic to donate using a credit card, debit card or bank transfer. And it's another good way to "set it and forget it," by creating a recurring payment. AND there's the whole 0%-interest-for-6-months thing. Cons: Like the Vanco option, Saint David's forfeits a small portion of your donation to cover PayPal fees. The way you probably shouldn't give to Saint David's. Never mind. Kerlin says she'll figure out what to do with the beef, will accept a live goat as long as it's a baby, and will absolutely accept a truck full of pennies as long as you count it (twice) before donating.